Princeton University, and was active in the real estate industry in the US before relocating to Delhi about 20 years ago. 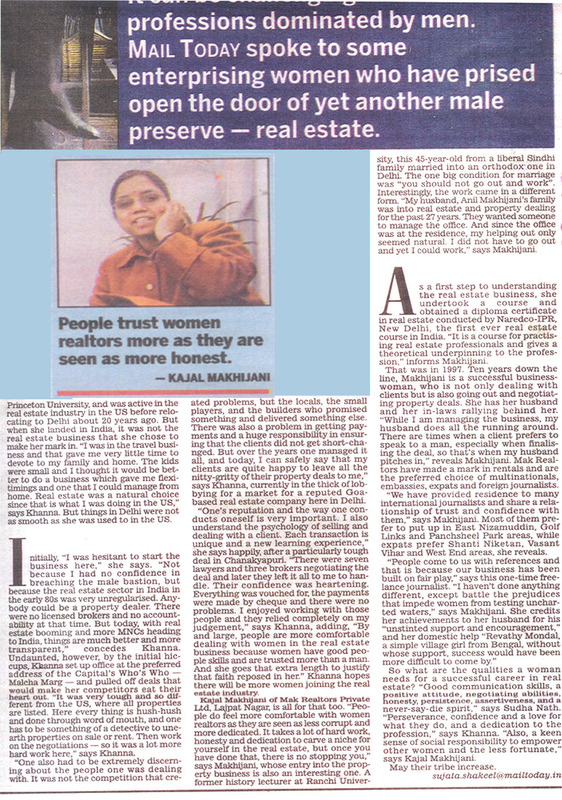 In the expansive market of property brokers where money-making means everything for most of the fraternity. The great Cecil B. DeMille has befittingly animadverted- 'The person who makes a succes of living is the one who sees his goal steadily and aims for it unswervingly'. 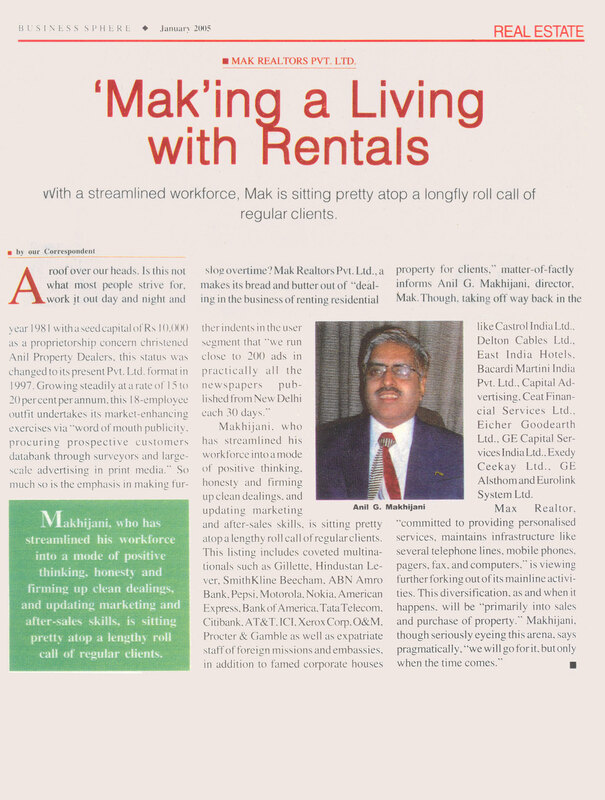 'Mak'ing a Living with Rentals - with a streamlined workforce, Mak is sitting pretty atop a longfly roll scall of regular clients. Where have all the houses with gardens gone? The expanding tribe of foreign diplomats, officials of UN and other international agencies, executives of MNCs and banks are finding it extremely difficult to find a house of their choice in Delhi. Actually, bungalows with a garden, however small, are dwindling faster than one expects in Delhi. As recently as a few years ago, the situation was not this bad. NEW DELHI, June 10: The Delhi government's decision to grant licences to the property dealers and make their registration compulsory promises to regulate the much-maligned profession and infuse some credibility in it.